The need for autonomous resourcing is clear. 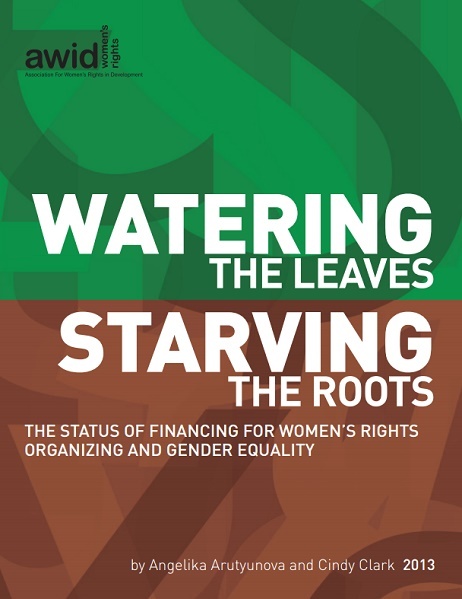 At AWID, we have documented the scant institutional funding from foundations or governments reaching feminist movements. Just 1.4% of official development aid reaches civil society organizations expressly focused on gender equality. 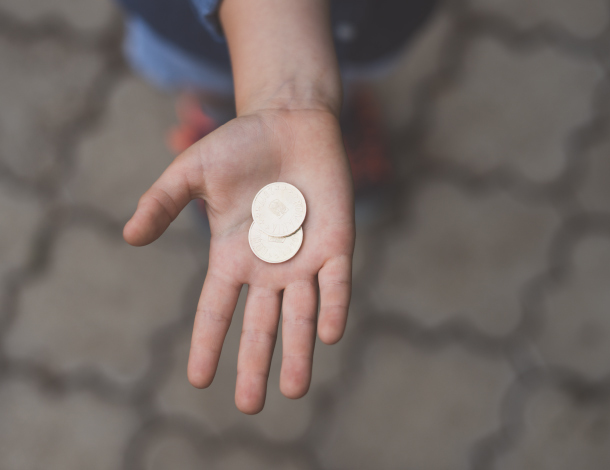 An estimated 13.8% of the grant money awarded by American foundations benefits women and girls, and only 5% of the total funds provided by European foundations advance women’s human rights. 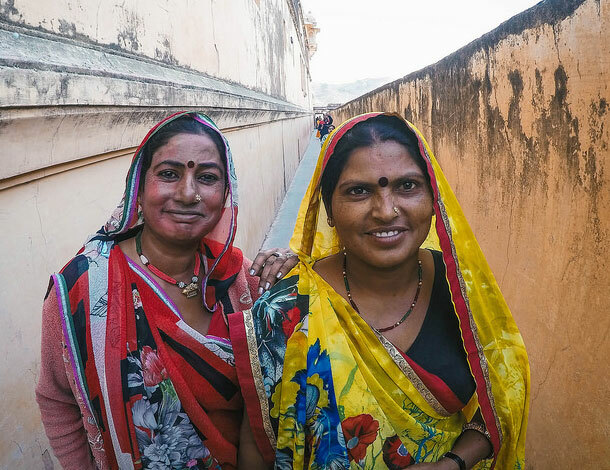 Many of the funds that do reach feminist movements are short-term or fail to meet the transformational and reality-changing work led by feminist movements on the ground and in communities around the world. 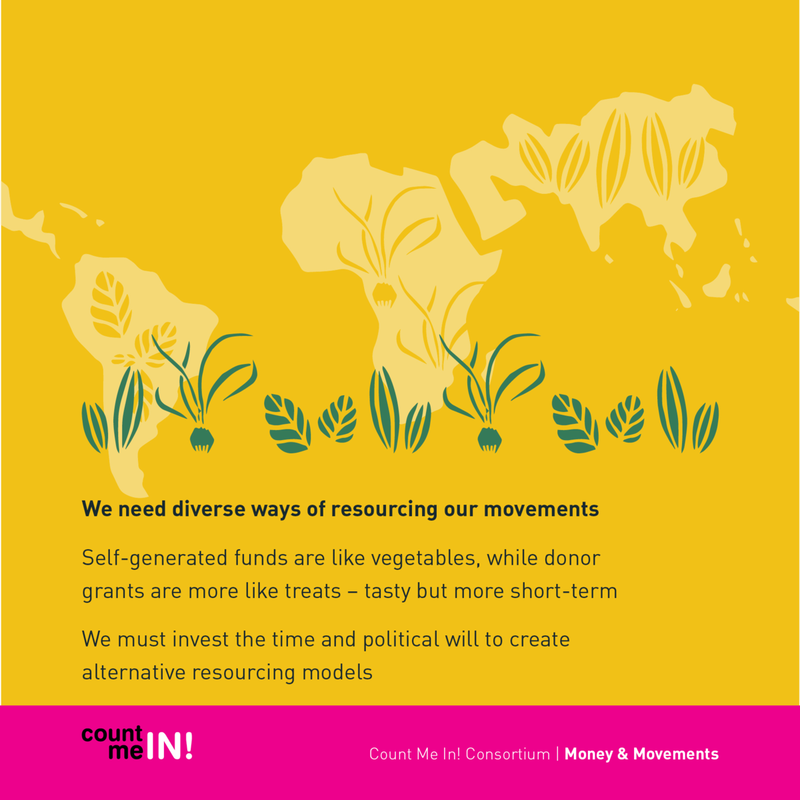 While we continue to advocate for more and better funding for feminist movements, autonomous resourcing shifts our thinking and strategy beyond money and currency -- one that centers trust, solidarity and relationships, the kinds of bonds fundamental for long term and meaningful social change. Strategizing to sustain our movements is not a new challenge for social change and human rights actors. Activists have always brought their own skills (often unpaid or underpaid), knowledge, connections and personal financing to social change. Different resourcing models have been explored and utilized and in combination over the years to fund the issues they consider critical. “We want to be independent and define our own priorities… [and] use less external funding and explore solidarity economy to be financially independent”, explains Yldiz Temurturkan, a feminist activist from Turkey. This article owes a debt of gratitude to the many feminist activists who have offered their time and insights about how they resource their organizing. The author is also grateful to AWID staff who contributed to this article, particularly Kellea Miller, Nana Darkoa Sekyiamah, and Laila Malik, and to Fenya Fischler and Kamardip Singh, whose interviews and previous work laid the foundation for this analysis. This article is part of AWID's larger research on autonomous resourcing for feminist social change. Tenzin Dolker is Resourcing Feminist Movements coordinator at AWID. She has also worked as a rights and governance analyst at Ford Foundation and program officer at Machik.